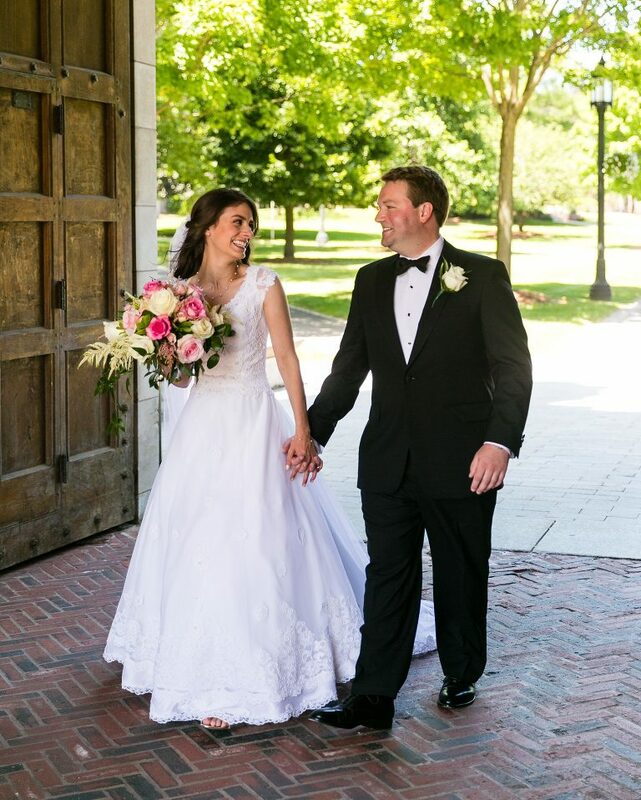 Elegant and charming are just two words to describe the wedding of Julianne and Robbie. 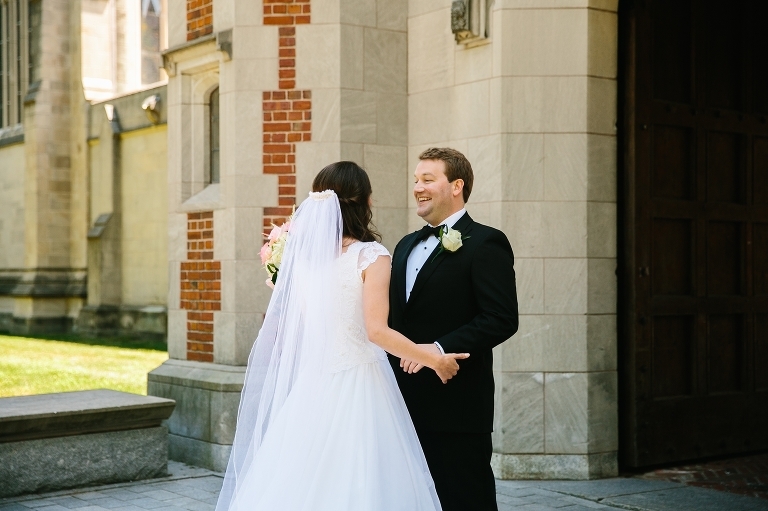 Julianne and Robbie decided to have a first look at the church where they would be married. Everyone felt the pre-wedding jitters as they waited for her to appear in her mother’s wedding gown and veil. Her parents were also married in the same church, making both the dress and the location so meaningful to Julianne. Her delicate and memorable dress were even featured in the Boston Globe along with their wedding announcement. 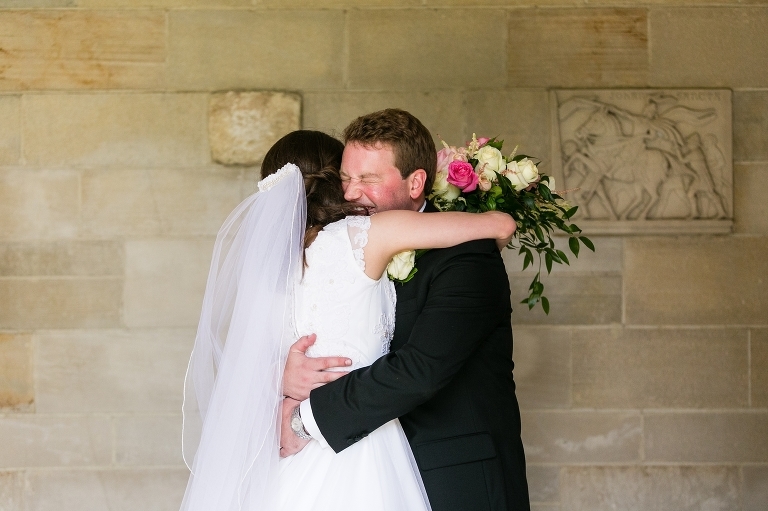 Following the emotional first look between the bride and groom, Julianne entered the naturally lit Trinity College Chapel arm and arm with her father, proudly walking her down the vast aisle. 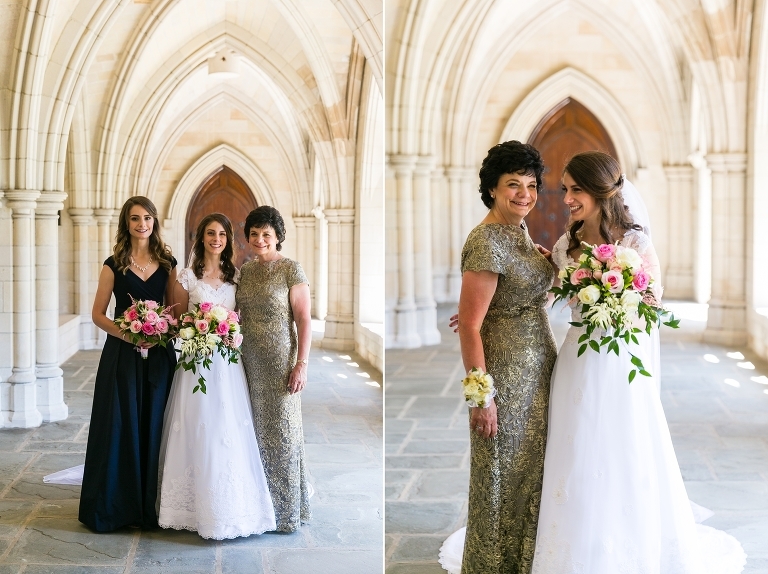 Julianne’s sister and Maid of Honor, Christina, was striking in her Ralph Lauren navy blue floor length dress, complimented by a bouquet of light pink and cream roses. Chris, Robbie’s best friend from school, stood by his side to celebrate the union of two friends he’d known since college, and watched as their relationship became what it is today. Guests gathered at the Simsbury Inn for a classic cocktail hour, tear-jerking toasts, and blissful celebration. Living in two different states, I knew that no matter the time or distance, the love Julianne and Robbie share would endure. I could see it in their long glances, glowing smiles, and childish laughter throughout the day and into the night. I have no doubt the commitment and support they give each other will help their marriage to flourish forever and always.